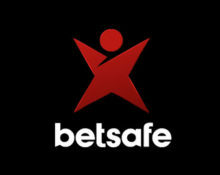 Betsafe – Daily Casino Bonus! Choose between a €10 or €100 wager bonus, every day this week! How about a daily bonus for your wagering on slots? Well, this week you can have that every day at Betsafe and even a choice of two options to suite every type of player. Will it be €10 or €100 you will be aiming for? Make the required deposit and complete the wagering to have the respective bonus instantly credited. Get spinning! 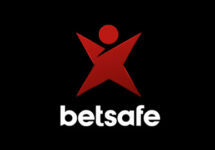 Betsafe Weekly Leader Board Race – While you wager for those bonuses, remember to take part in weekly races at Betsafe. Compete against your fellow players and secure a share of the weekly €10K prize pool in bonus money. Each week, Betsafe has chosen one slot from Play’n GO on which players will have to hit selected achievements to score points towards the leader board, which is updated daily. The TOP100 at the end of each race will win bonus prizes ranging from €40 – €400. Take part in this awesome campaign at Betsafe and earn yourself a generous wager bonus, every day until 17th September 2017. Simply deposit and wager on your favorite games to have the bonus instantly credited. OPT-IN is required once on the promotion page. Players need to deposit and wager the required amounts to have the bonus credited. Only the first deposit of the day and only game play on classic or video slots count towards this offer. Table games and live games are excluded. Only one daily bonus per player per day, until 17th September 2017. Wagering requirement is 35x bonus amount within seven days.